The ZTE's Open smartphone that runs on the Firefox mobile operating system (OS) has sold out on eBay, with the firm shifting 990 of the handsets in the UK. Last week ZTE announced that its Open smartphone would be sold exclusively at eBay in the UK and US, priced at just £59.99 and $79.99, respectively. 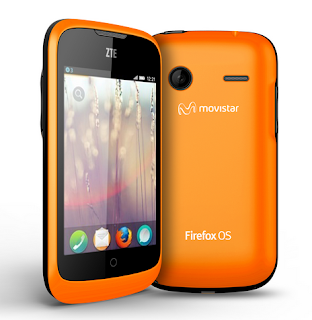 Following that announcement, the Firefox OS handset went on sale on the online auction and retail website on Friday 16 August, and ZTE has since revealed that it ran out of stock by Monday 19 August. According to the firm's listing on eBay UK, it was able to sell 990 ZTE Open phones in just a few days in Blighty, with another 985 sold on eBay USA. According to the feedback the firm got, the buyers are well pleased with their purchases.